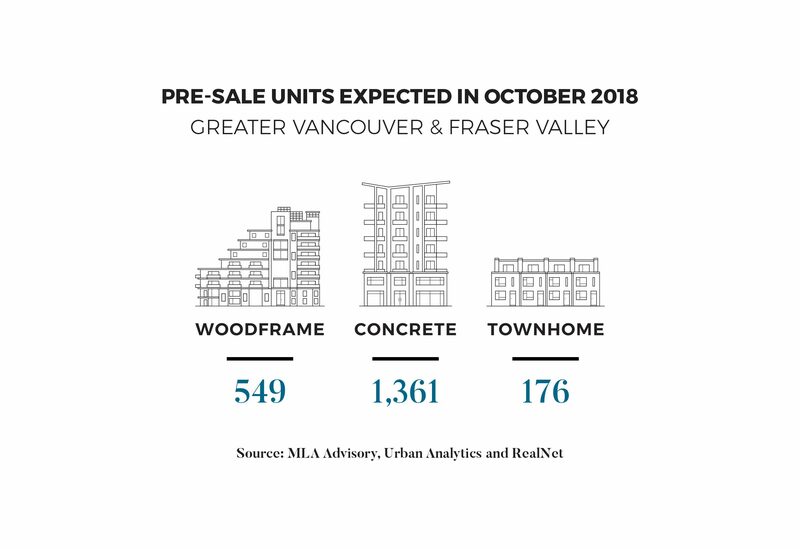 According to MLA Advisory's October Pre-Sale Insights Report, October is expected to be the busiest month for pre-sales in 2018 bringing over 2,000 units to market. September saw only one highrise project launch as many developers wait until the typically busier month of October to commence sales with five towers coming to market. The pre-sale sold rate has continued to trend down since earlier this year, and projects are taking longer to sell. Consumers now have more choice, flexibility and time to make decisions and look for the best value. “New Westminster, which has seen only one concrete project launch since 2016, has two towers expected to open for sales. New West city centre is now one of the more affordable transit-oriented communities in the Lower Mainland,” explains Suzana Goncalves, MLA Canada Chief Advisory Officer. There is an uptick in the number of rental projects in the development application process. East Vancouver is one area that is experiencing a boost. With a vacancy rate below 1 per cent, the scheduled 2,300 rental suites for the area will bring some relief to the housing supply in this highly sought-after region.